On this page you can listen to the songs KjD managed to record before the band was destroyed. While you can listen to all of their stuff on this page now for free, you can still buy hard copies of the albums (including booklets and artwork) on the Buy Stuff page. 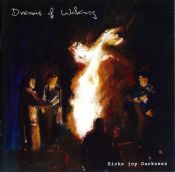 Disc A - "Dreams of Waking"
Dreams of Waking is a two CD compilation album that was put together by Anno's family shortly after the crash. It is a tribute to KjD and Anno, containing songs that were produced by Flying Mango Attack, KjD, and solo songs that Anno wrote independently (most of which are on the second CD, available for download on Anno's site). The version of Landslide that was on the album was a splice of the West One-Four and Sanctuary recordings; this was done because the Sanctuary is the better recording, yet unfortunately the button only got pushed half way through so it's incomplete. 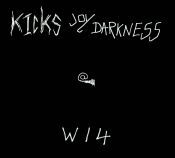 The version of Zie Punk Volk on the album comes from the Ark EP, with the addition of Billy's guitar part (which he recorded and put on the song in 2002). You can get the other tracks on the Flying Mango Attack page, and on the Anno site. Circles of Faith was a creation by Anno, Lee and Alberto. In Billy's own words: "Of the entire songbook, for me 'Circles of Faith' is as good as KJD gets. Because I wasn't there when it was recorded and I'm not playing on it, it's as close as I can get to an objective experience of KJD. While it lacks words it speaks volumes and highlights the group's use of dynamics for dramatic effect. I don't know it's origin nor do I know how structured it was. It's nearly the length of a short album and that it's now available for everyone makes me happy because I think it's the last out of the KJD vault. It's where it should be - in your ears." 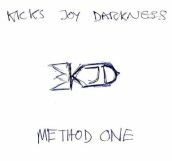 Method One (the name inspired by the methadone Lee was taking during recording to overcome his heroine addiction) was to be KjD's debut album. The band was rehearsing at Alberto's studio in Italy and were a mere day from recording the album at a studio in Milan when they were killed. All that's been left of Method One is a rehearsal recording that the band produced on the day before the crash. Despite the fact that it was recorded on a cassette tape, and is vocal-less due to the fact the band didn't have enough mics on hand to record the vocals, Method One is still a breathtaking glimpse of their talent. It was mastered in 2004 by the incredible Fayne, so it's sounding as good as it can be. The tightness, flow and power of the music comes hammering through despite the limits of its recording - though the loss is apparent when one thinks about what the finished version would have sounded like, as well as where KjD could have gone. Ark was KjD's EP. It was recorded in the summer of 2001 in Wales and was given out to friends and at gigs. Unfortunately it didn't feature Billy as he was being held out of the country by Britain's stirling immigration team. 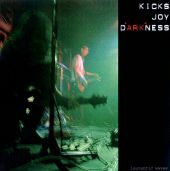 The albums below are from the only two KjD gigs which were recorded - The Sanctuary and the West One-Four, both mastered in 2004 by Fayne's dark arts.